Hey y'all! 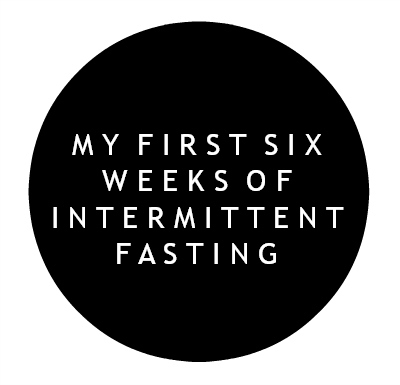 Today is all about my first six weeks of intermittent fasting. I'm going to explain what it is, how I do it, when and what I eat, and answer your questions that you asked over on Instagram. Before I begin this post, I wanted to remind you to always check with your doctor before you start any sort of new diet program. Also, be sure to do your own research as well. This is simply my own experience and journey so yours may look different. Super simple, right?! There are many ways to go about fasting but the most common methods are fasting for 24 hours, twice a week or the method I chose, fasting for 16 hours, everyday, How this works for me is, I stop eating at 9pm and then I break my fast at 1pm the next day. So basically, I fast while I'm sleeping and in the morning. This method worked best for me because I wasn't a big breakfast eater anyways. I rarely ate much before 11am prior to IF. W H A T A R E T H E B E N E F I T S? The personal benefits that I have noticed the most are increased energy and concentration. I was completely surprised by both of these because I assumed I would struggled with them both since I wasn't eating. But, the opposite happened! 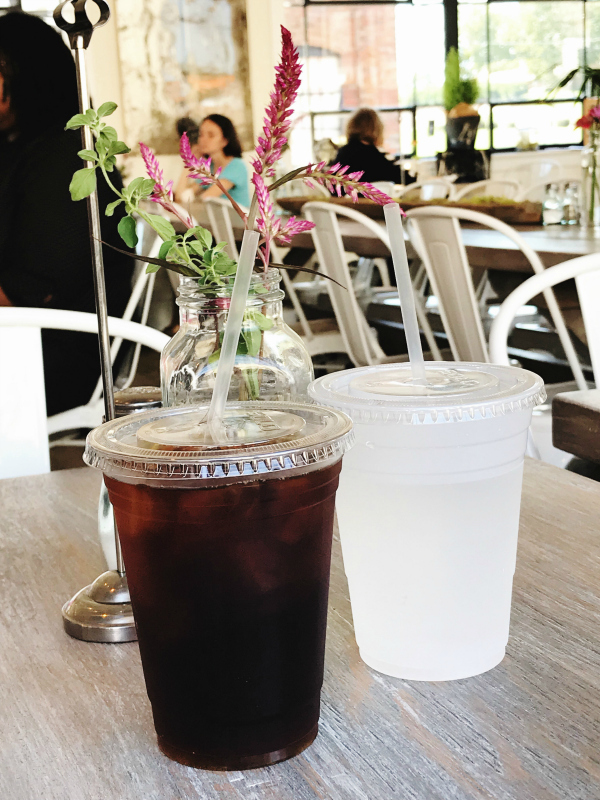 The first two weeks this wasn't the case but after I got past the those first fourteen days, I felt so much better and my body had adapted to it's new way of eating. Other benefits are: weight loss, improved fat burning, reduces inflammation, and lowers your risk of heart disease, cancer, and type 2 diabetes. Yes! I would actually 100% recommend coffee in the morning. I feel like it definitely helps curb your hunger and gives you a boost of energy. During my 16 hour fast, I don't go completely calorie free. I do add protein to my coffee, as well as a packet of stevia. My coffee cup is 75% black coffee and 25% protein. I personally love Premier Protein (the caramel flavor is so good in coffee). I like mine as an iced coffee and it's delicious! Even with just the little bit of protein in my coffee, it keeps my hunger under control in the morning. W H A T D O Y O U E A T W H E N Y O U'R E N O T F A S T I N G? Lunch is pretty much whatever I can grab on the go. I eat a lot of cheese, yogurt, nuts, salads, eggs, fruits, and raw veggies at lunch time since it's quick. I also make sure to eat at least one snack between my lunch at 1pm and my dinner around 7pm. I usually eat a high protein snack around 3pm and I usually have another healthy snack (or Yasso frozen yogurt bar) around 9pm to finish the day. Dinner is more planned out since I buy our groceries according to what we are having for dinner that week. I buy a bag of chopped salad mix then add chicken, eggs, and avocado. Ground beef with taco seasoning served with black beans, avocado, salsa, shredded cheese, and sour cream. I usually serve this in a bowl with tortilla chips. Ground Italian sausage served with lentil pasta (my kids don't notice the difference), marinara sauce, mozzarella cheese, and ricotta cheese. We typically dine out with the exception of one meal that is always breakfast for lunch or dinner (I always make bacon, eggs, and Kodiak protein cakes). Chipotle is also one of our go-tos because it's easy to get a quick, low carb meal. I get salads a lot when dining out and always skip the bread and opt for lettuce when ordering a sandwich or a burger. I do splurge on pizza occasionally but only for really good pizza, lol. It's super important that you don't over indulge during eating hours. It can be so tempting to say since I have to fast the next 16 hours, I'm going to eat whatever I want but that's just not a good idea. You should always be mindful of fat, sugar, and calories. The first couple of weeks, I honestly didn't think I was going to be able to do this. I definitely thought about quitting a lot during those first two weeks because it was rough even for someone like me who wasn't a breakfast eater before. However, once I got past those first two weeks, it was so much easier. I focused more on what I was eating during my eight hours and realized the first two weeks that I wasn't eating enough. Getting in enough calories and protein during your eating hours is essential. I pretty much always feel some hunger around 11am every single day. It's like clockwork. When I get hungry, I either drink a bottle of water (because a lot of times you when you think are hungry, you are actually just thirsty) or I pray. I have used this time of fasting as a spiritual reminder that I need Jesus so I talk to Him instead of focusing on my own desire for food. It always work for me. Sometimes I get to 1pm and forget that I can eat. Yes! If I don't get my workout in before 11am then I will never get my workout in because of my schedule. Working out at night just doesn't work for me. I was a little nervous to workout while fasting because I had always had at least a cup of yogurt before working out. But, I was totally fine! Be sure to drink water before, during, and after your workout to make sure you are hydrated. Also, the adding protein to your coffee really helps you sustain your energy through exercise. This is also why I eat a lot of protein packed snacks during my eating hours. H A V E Y O U L O S T W E I G H T? This was by far the most asked question! And the answer is YES! When I started this journey, it wasn't just about losing weight, it was about health but losing weight is definitely an added bonus. I rarely step on a scale because who likes doing that but for the purposes of IF, I did weigh myself at the beginning and again after six weeks. I lost a total of eight pounds! Most of this weight was belly fat that I was just holding onto after babies and bread, lol. However, I don't recommend anyone standing a scale. Pretty much ever. I usually judge my overall health and weight on whether or not I can fit into my favorite jeans, you know the ones that just make you feel good when you put them on.